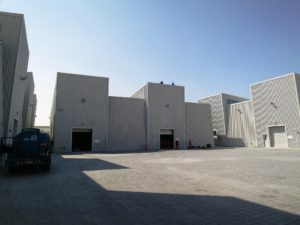 In the United Arab Emirates, Concrete is the name of a multi-functional cultural space in an abandoned warehouse on Alserkal Avenue in Dubai. It was designed by Rotterdam-based architectural firm OMA, and is a rare example of adaptive reuse in a city known almost exclusively for creating shiny new objects. Located in Dubai’s Al Qouz industrial area, Alserkal Avenue was founded in 2007 with the aim of promoting cultural initiatives in the region. Since then, it has become Dubai’s most important art hub with twenty-five galleries and art spaces. Concrete addresses the district’s growing need for a centrally located public space which can host a diverse program. 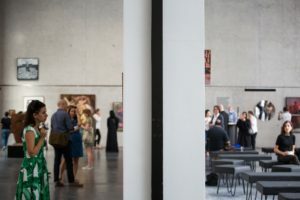 The 1,250 square meter former warehouse provides a multi-purpose space to accommodate public events, exhibitions, performances and lectures, and continues OMA’s work in the preservation and repurposing of existing buildings. 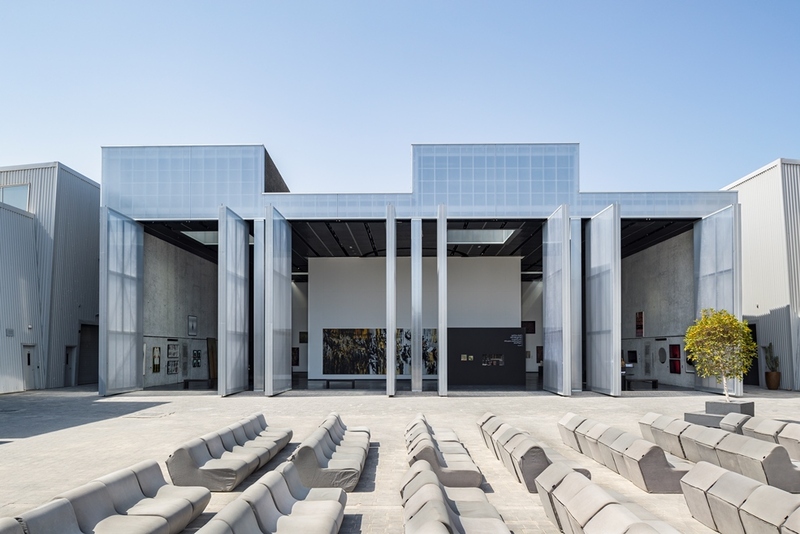 Allowing multiple configurations, the industrial-scale space has 8 meter-high ceilings, pivoting and sliding walls, and a translucent façade with full-height doors which can seamlessly connect Concrete’s interior with the complex’s large, central courtyard. 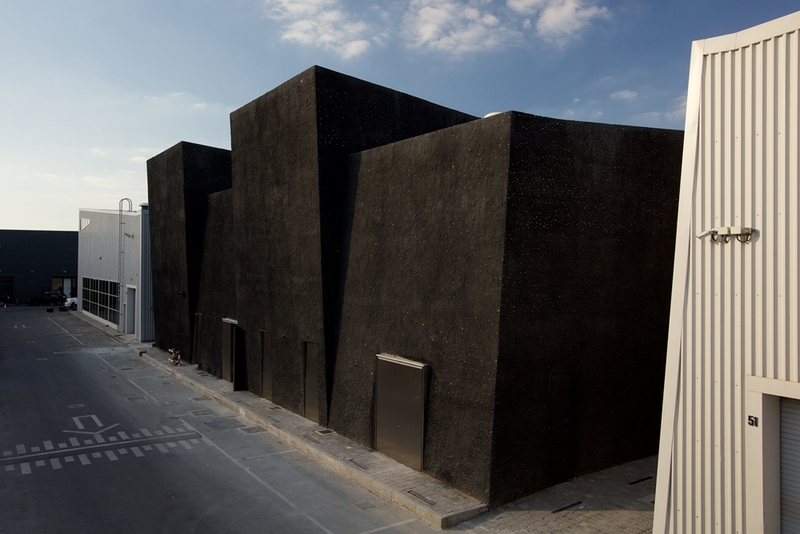 This is OMA’s first built project in the United Arab Emirates, and was and led by Iyad Alsaka and Kaveh Dabiri. The interior design and engineering was completed by Dubai-based companies. Before repurposing: The building when it was still a warehouse. The planning strategy focused on maximizing the event area. 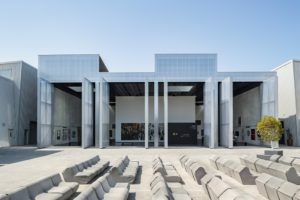 All the services were consolidated on one end of the building, allowing the entrance and event spaces to be situated closer to The Yard, the district’s main outdoor public square. The design for the interior introduces a flexible floor plan to accommodate the required program diversity. Four 8.10 meter pivoting and sliding walls can create multiple space configurations depending on the type of event. 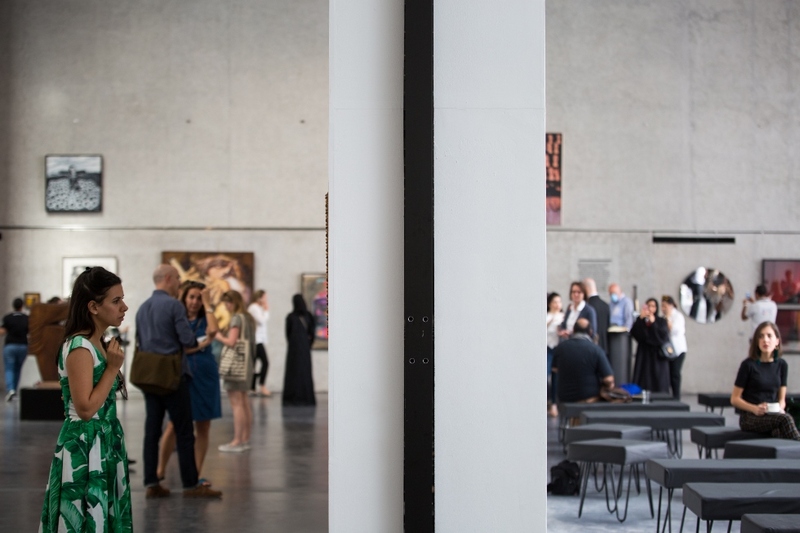 Two linear skylights have been positioned above the movable walls to allow either thin blades of light or full daylight depending on the configuration. The original front façade of the warehouse has been replaced with polycarbonate cladding and full height operable doors. When the doors are open, the exterior and interior space can merge, activating the courtyard. The connection to the exterior is reinforced by the translucent polycarbonate, which brings the view, daylight and outdoor activities into the interior space. The rest of the original façade has been maintained and sprayed in a customized mix of concrete with glass and mirror aggregates. 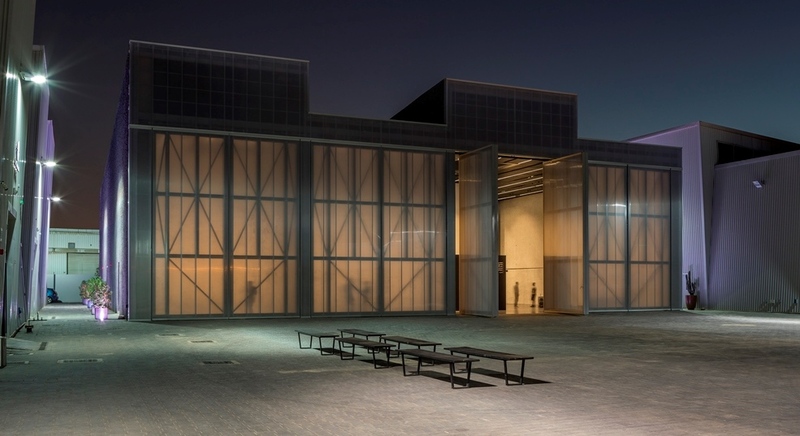 The rough texture of the spayed concrete and reflections from the glass and mirror aggregates will make the venue stand out in the context of Alserkal Avenue. All images courtesy of OMA.